Subiect: The Royal Family Sovereigns and Citizens. Ceremonial and Daily Live. Exbition. Theme According to a well-established tradition in commemorating noted historical personalities, the History and Art Museum of Bucharest will mark the years since the birth of King Charles I of Romania, by a complex exhibition entitled „ The Royal Family. Sovereigns and Citizens. Ceremonial and Daily Life", comprising ceremonial military costumes, flags, portraits, decorative art objects, personal objects, manuscript documents, photographs, all reuniting two sides - public and private, official and domestic - in the life of the Romanian sovereigns. Many of the selected objects have never been exhibited before. Visitors will also be able to see, among others, an engraving representing the young King Charles, various silver objects that belonged to King Ferdinand, Queen Mary's menus, a.s.o. 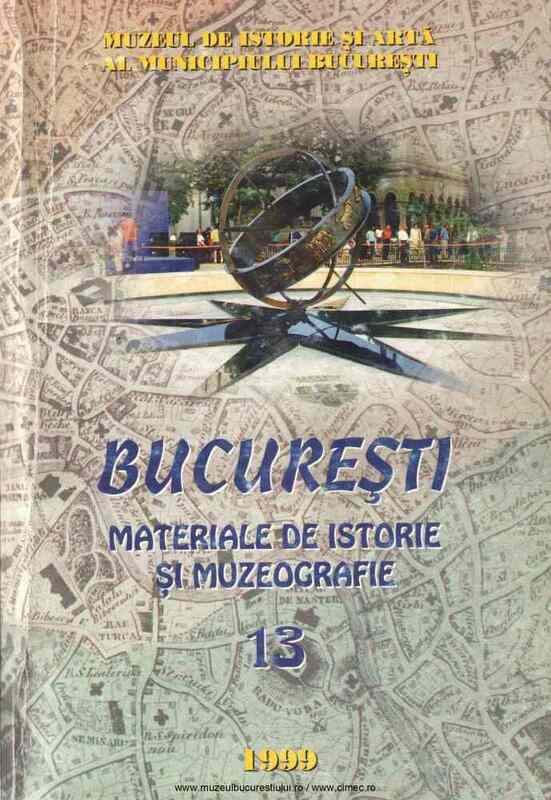 The exhibition will be part of the series of cultural events in the „ Month of Bucharest", that will take place during the first days of May 1999-events initiated by the Town Hali of Bucharest.